The next time you drive up to your garage, think about how great it would look transformed into a new family room, master suite or living room - or even as a separate living space for renting out. You need more space in your home, but don't have the budget to add on and moving is out of the question - so what do you do? 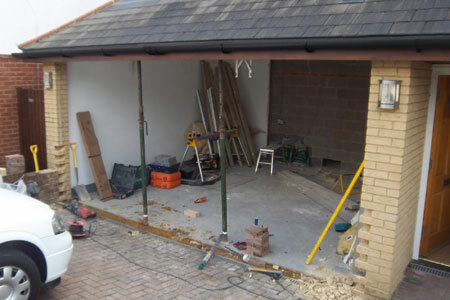 A cost effective way to add more space to your home is by remodelling the garage. 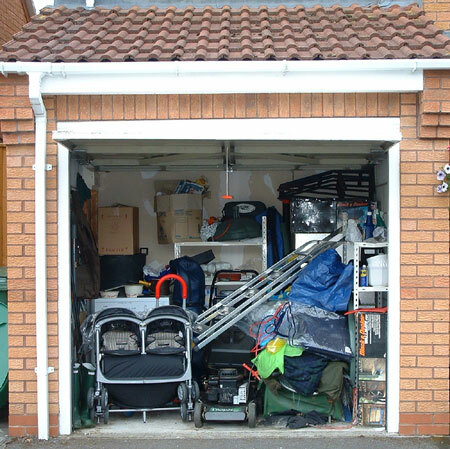 Generally located next to a home, a garage is far less expensive than building an addition. You can use your garage for an office, a workshop, a studio, a playroom, a home office, and even a club or amusement space. If you do not have space for storage and the garage is the only place to store items - consider adding a small shed to your garden. 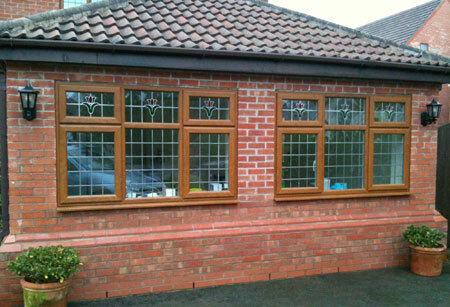 With right design, you can convert your garage into a multifunctional room, to accommodate various needs and functions. You can designate separate areas and use divisions. You can benefit from an attached garage because it already has the necessary wires, heating, cooling, and plumbing nearby. 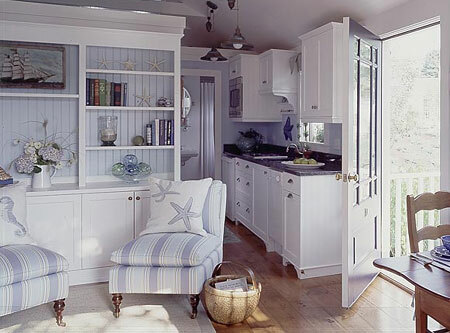 It is just a matter of making some adjustments that will not be too costly compared to adding an extra room. ABOVE: Before and After - In this economy, spacious living quarters that are also affordable can be hard to come by. 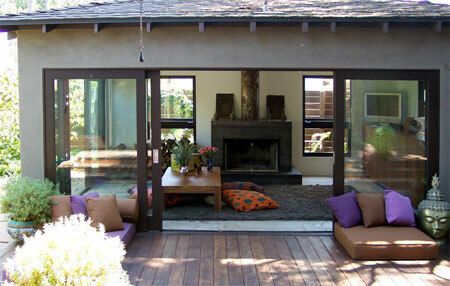 Many individuals have decided to use their garage space as an additional room by transforming it into a living space. Although the basic structure is already in place, you still need to take into plan for amenities and layout, as most garages are very basic. If you're going to be remodelling the garage for additional living space, or as an extra room, you don't necessarily need to plan for amenities such as a bathroom or kitchen space, but these need to be allowed for when looking at converting a garage into a separate living facility. ABOVE: No wasted garage space in this home. Now a stunning kitchen with plenty of space to move around in - and the garage door remains, albeit fitted with glass panels. An electrician will need to be called in to wire for additional lighting and electrical outlets, especially where appliances will be introduced into the space. Water supply will need to be added so that a bathroom or kitchen area can be created. The number of necessary lines will also depend greatly on what additional appliances that use water will be installed. Additional windows and doors may also be needed. However, tackling this as a do-it-yourself project is fairly simple if you plan to use the existing space for the garage door. Adding windows allows more natural light and reduces the reliance on artificial light and an increase in electricity usage. It's important to take into consideration that if you are planning to rent out the space, the occupants will require the convenience of having all the necessary amenities at hand. ABOVE: Converting a double garage into a flatlet, either for a relative, or for renting out, is an investments that brings its own rewards. A garage doesn't have to be just for parking the car and organizing the tools. 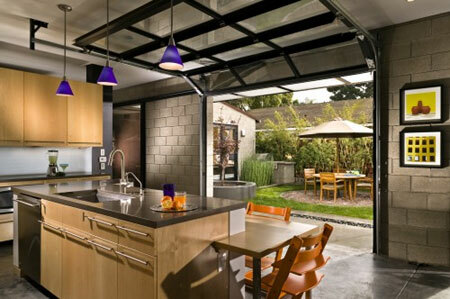 Garages can be converted to meet a homeowner's needs in a number of ways. This additional space can be completely redesigned to become usable living space or even a separate living area for another resident. 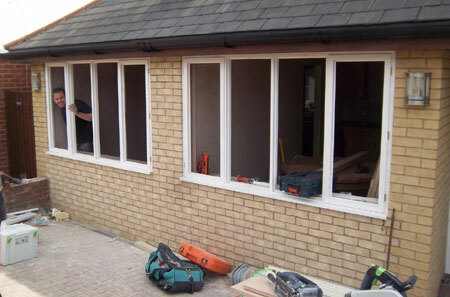 With some initial investment in materials and a bit of imagination, there is no limit to how one can transform a garage and make an improvement on the existing home. 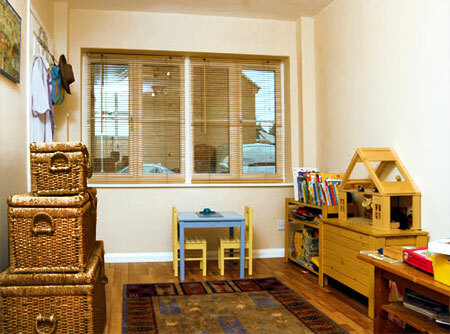 ABOVE: A garage can become the children's play room when stocked with children's toys and games. Having a separate playroom for young children discourages clutter in bedrooms and will keep toys from being strewn all over the house. A playroom of their own also allows children to have fun anytime, even when the weather or other factors prevent outdoor activities. ABOVE: Convert a garage into a home gym with only a few alterations. Reconfiguring the design of the garage may not be necessary, and flooring could be left as is, or covered with a suitable flooring material. 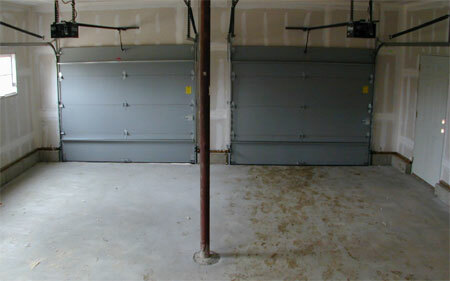 A garage can be converted to a home gym to accommodate a treadmill, stationary bike, weights and other fitness equipment. The money saved on gym registration will soon cover any costs spent on this renovation.